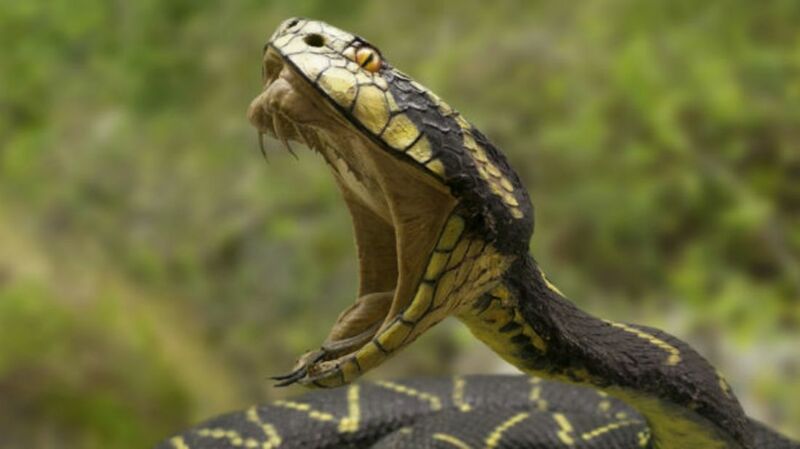 Are Snakes Immune to Their Own Venom? Despite a sketchy reputation, venomous snakes in the United States aren’t prone to going on biting sprees. Only about 8,000 people are attacked every year, with an average of five victims fatally succumbing to the toxins deployed via puncture wounds. But what happens when two snakes face off against one another? Can their venom induce the same hemorrhaging and necrosis it does in their prey, or do they have a built-in immunity to their own flesh-tenderizing enzymes and paralyzing neurotoxins? Hypothetically, if a speckled rattlesnake bit another speckled rattlesnake, the immunity they’ve built from being exposed to low levels of their own venom—kept in glands behind their eyes and secreted when they bite—would protect them from a fatal wound. (Even though the glands are closed, they still contain blood vessels that allow the venom to circulate in their system, causing mild exposure, Mackessy says.) But a speckled rattlesnake that meets up with a cobra might have a different day entirely.